Each year, the School of Education sponsors a tutoring program for later elementary, middle, and high school students in the summer. The program is held on campus and, this year, it will run Monday-Thursday, July 5-August 4, from 9:30 to 11:30 a.m. Students entering grades 4-11 in 2016-17 will work with tutors who are School of Education master of arts in teaching (MAT) program candidates. The MAT students/tutors work with students on their learning needs in math, reading, writing, speaking, and other subjects. If you would like to register your child or have any questions, please contact the School of Education at x7135 or soed@up.edu. 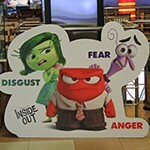 The next Bringing Eyes of Faith to Film screening will take place on Wednesday, February 17, with a free screening of Disney Pixar’s “Inside Out” at 7:15 p.m. in Romanaggi Hall Room 203. All are welcome to this free event, with movie snacks provided. Garaventa Center co-directors Karen Eifler and Rev. Charlie Gordon, C.S.C., will explore themes of grace, redemption, and transcendence in surprising places. For ADA accommodations or more information contact the Garaventa Center at 7702 or garaventa@up.edu. Filed Under: 02-08-2016, 02-15-2016, Academics, Garaventa Center Tagged With: Bringing Eyes of Faith to Film Series, Garaventa Center, Karen Eifler, Rev. Charlie Gordon C.S.C. 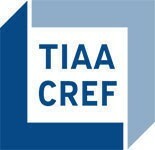 These sessions are available to any employee and appointments can be made by going to www.tiaa-cref.org/schedulenow or call TIAA-CREF at (877) 842-2028, press 5. For more information contact HR at hr@up.edu. 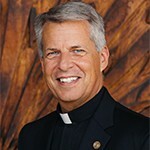 University president Rev. Mark L. Poorman, C.S.C., will deliver the annual State of the University Address and present the 2016 Alumni Awards on Tuesday, March 1, at the Sentinel Hotel (614 SW 11th, Portland). Doors open at 11:30 a.m., with the program from noon to 1 p.m. Seating is limited; cost is $20 per person or $200 for a table of 10. Register online at this link. Registration closes on Wednesday, February 24. Fr. Poorman’s talk will include an update on the new student residence hall taking shape on N. Willamette Boulevard and many other factors affecting the University’s success. Also on the agenda will be the annual Alumni Awards. This year’s winners are Joe Hollman ’64, Distinguished Alumni Award; Julie Johnson ’86, Rev. Thomas C. Oddo, C.S.C., Outstanding Service Alumni Award; Shane Deckert ’07, Contemporary Alumni Award, and UP senior Shelley West ’16, winner of the Thomas A. Gerhardt ’55 Memorial Award for Student Leadership. For more information, e-mail Jamie Berger at bergerj@up.edu or call x7397. 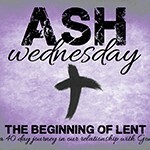 Ash Wednesday is the beginning of the Season of Lent, a period of preparation leading into the celebration of the saving mysteries for Jesus’ passion, death, and resurrection. Masses will be offered on Ash Wednesday at 12:05 p.m. and 4:45 p.m. in the Chapel of Christ the Teacher. 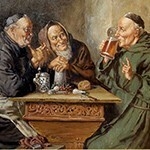 Masses will also be offered at 10:15 p.m. in Mehling, Kenna, and Schoenfeldt Hall chapels. Environmental studies professor Bob Butler has won a national award in “Educational Outreach to Schools” from the Western States Seismic Policy Council for his work on the Cascadia Earthscope Earthquake and Tsunami Education Program (CEETEP). 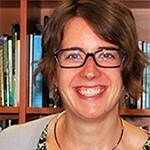 Butler serves as principal investigator for the University’s collaboration with OSU and Central Washington University through a grant from the National Science Foundation EarthScope Program. In that role he is lead workshop instructor on Earthquake and Tsunami Science. Over the past three years, CEETEP has held six workshops for K-12 Earth Science teachers, parks and museum interpreters, and emergency management educators in coastal communities from the Olympic Peninsula to the Redwood Coast of California. The national awards are presented every four years and recognize organizations and agencies for their achievements as demonstrated through exemplary programs, projects, and products that address earthquake risk reduction within the United States. 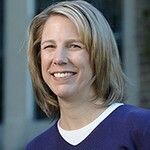 Butler has been a professor of geophysics at the University since 2004. He teaches earth system science, natural hazards, and oceanography and is known locally as an expert in the field of earthquakes and earthquake preparedness. He is also the project director of Teachers on the Leading Edge (TOTLE), a K-12 Earth Science teacher professional development program featuring Pacific Northwest geology and geological hazards. 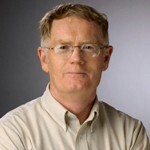 Among his many awards, Butler was named the Oregon Academy of Science 2013 Outstanding Higher Education Teacher in Science and Mathematics, and received the 2014 Fred Fox Distinguished Service to Science Education Award from the Oregon Science Teachers, and the 2015 Neil Milner Award from the National Association of Geoscience Teachers. For more information contact environmental studies at 8342 or inanb@up.edu. 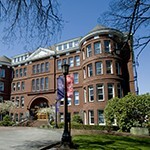 The University of Portland has been ranked the no. 1 university in the state of Oregon among all four-year institutions whose alumni “go on to earn the most money” by the news website Business Insider in a January 2016 survey. 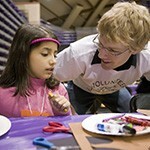 University of Portland alumni averaged a median salary of $51,700 ten years after enrolling in classes. Business Insider’s rankings were based on a recent report by the Georgetown University Center on Education and the Workforce. The report used the U.S. Department of Education’s College Scorecard to highlight the median earnings of students over ten years from over 1,400 colleges nationwide. The survey also listed the costs to annually attend each top school as comparison data. In that cost was tuition, required fees, as well as room and board. University of Portland’s annual tuition was listed as $52,152. The complete list of rankings state by state are available online at this link.